What does the United States do when it’s faced with hegemonic decline, ascendant rivals, and an inability to use its massive military apparatus to turn the tide in favor of its own imperial ambitions without incurring costs that far outweigh the benefits? To paraphrase former First Lady Michelle Obama: When they go low, we go high. In this case, shift the battle to “the final frontier” – outer space — where mining interests suspect that rare mineral resources can be found in abundance and yield massive profits. During his time on the campaign trail and upon coming to power, President Donald Trump issued a stream of statements explicitly calling for a reinvigorated effort to boost the militarization of space. 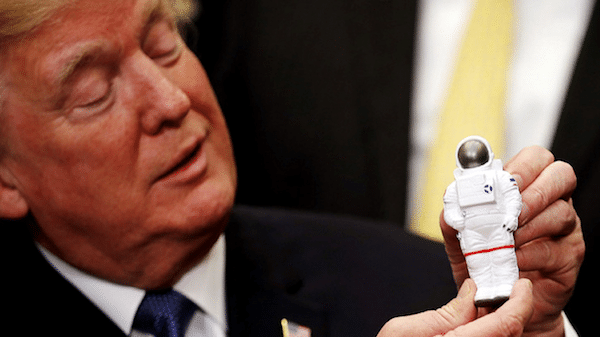 The goal would be to ensure that his “America First” approach to economic and military matters extends to outer space through a deployment of the U.S. Armed Forces to outer space on a permanent basis. “I’m just telling you now. 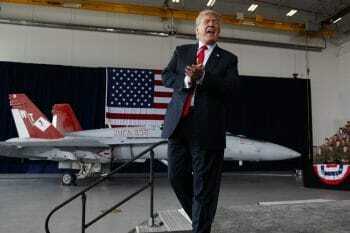 We’re getting very big in space, both militarily and for other reasons, and we are seriously thinking of the Space Force,” he said. They know they stand to make massive profits if they can consolidate space operations under one military service, so they will likely continue to push this in the coming year. I think they stand a good chance of eventually making it happen – recognizing that most politicians in Congress are now subservient to the military-industrial complex. While liberal late-night TV hosts like The Daily Show’s Trevor Noah and Late Show’s Stephen Colbert have mocked the idea, Trump is far from the only figure in Washington who sees space as a “war-fighting domain, just like the land, air, and sea,” as he said in March. Indeed, House lawmakers have already inserted plans for “a subordinate unified command for space under U.S. Strategic Command that would be responsible for joint space warfighting operations,” in the 2019 National Defense Authorization Act. While not quite the space-oriented service branch or Space Force that Trump has called for – complete with its own Chief sitting alongside the Joint Chiefs of Staff of the U.S. Armed Forces – the move is a stride forward in the long-agreed-upon bipartisan strategy to ensure that outer space remains the unchallenged domain of Washington. What interest could the U.S. military possibly have in extending its presence in the cold, dangerous, and expensive realm of outer space? For University of Cambridge Professor Peter Dickens, an environmental sociologist who researches the growing role of capitalism and militarism in space, the answer isn’t much different from why a military would seek to establish itself anywhere else here on Earth, whether it’s in the frozen Arctic or in the insurgent mountain ranges of Afghanistan. In other words, compared with investments on Earth, investments in outer space – now including military investment in space – can look relatively profitable relative to investments on Earth. Any time the government seeks to build up its military, the purpose isn’t merely just to inject funds into war industries as a form of “corporate welfare,” but it’s a means of guaranteeing that the military continues to ensure the expansion of capital, protecting its property and investments across the globe. 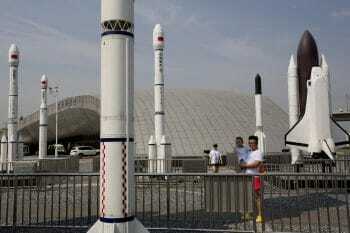 Proponents of the militarization of space hope to extend the same dynamic into the cosmos. [T]here is something more important than the ultimate weapon. That is the ultimate position – the position of total control over the Earth that lies somewhere out in space. That is … the distant future, though not so distant as we may have thought. Whoever gains that position gains control, total control, over Earth, for the purposes of tyranny or for the service of freedom. Dominating the space dimension of military operations to protect U.S. interests and investment. Integrating Space Forces into warfighting capabilities across the full spectrum of conflict. On its third page, the report notes, “the emerging synergy of space superiority with land, sea, and air superiority will lead to Full Spectrum Dominance.” The cover of the report depicts a satellite firing a laser beam down on a target below. The militarization of space gives the U.S. the idea that it can prevail in a full-scale war, which is an insane notion. The cost of the militarization of space would destroy the human and physical infrastructure of our country because they’d have to defund all social progress in order to pay for it. It has long been recognized that struggles over space on Earth are intimately connected to social struggles, to contests between classes and others. … Sadly now, those interests monopolizing and controlling the use of outer space are those attempting to monopolize and control social relations, social processes, and forms of subjectivity on Earth. It is possible to imagine the total militarization of the public sphere from space, civilians’ every move being watched and targeted. In short, the current way of humanizing outer space is again about exerting the hegemony of the powerful. 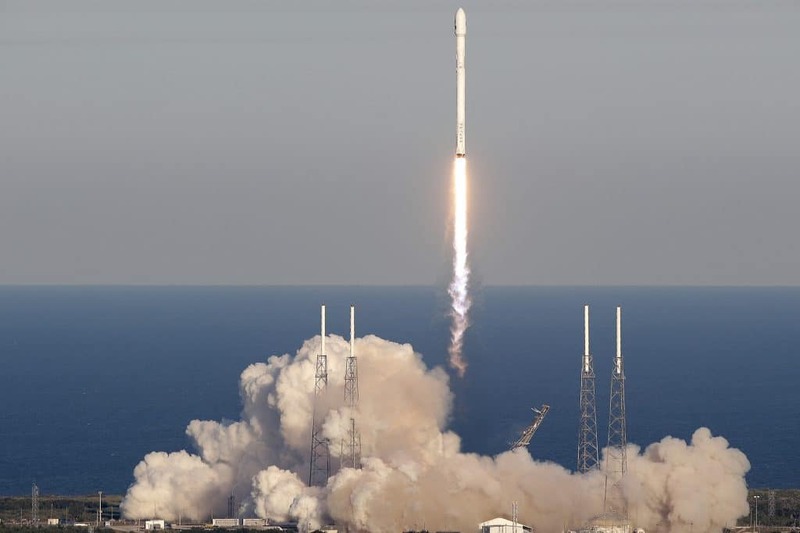 A SpaceX Falcon 9 rocket transporting the Tess satellite lifts off from Launch Complex 40 at the Cape Canaveral Air Force Station in Cape Canaveral, Fla., April 18, 2018. In recent years, tech companies such as SpaceX and Blue Origin have engaged in a mad dash to develop their own private space programs capable of conducting a moon landing, exploring Mars, or providing space-based tourist attractions. The rapid development of this private space race – supported by companies such as Google through its Lunar XPRIZE contest – is to unlock “the lunar frontier and the multibillion-dollar industry that follows,” as Bob Richards, founder and CEO of Silicon Valley startup Moon Express, said in a recent statement. On Tuesday, these companies received a massive boost to their efforts when the House of Representatives passed the American Space Commerce Free Enterprise Bill, which encourages private business to be carried out under the auspices of the Office of Space Commerce (a division of the Department of Commerce). The bill further ignores the Outer Space Treaty (OST), an oft-disregarded international agreement signed in 1967 that is meant to keep space peaceful, safe and accessible for all who seek to explore it. Lawmakers believe the bill will exempt the U.S. from its legal responsibilities under the OST stemming from U.S. private corporations’ activities, yet one can expect that the Department of Defense — and the Space Force, if it ever comes to fruition — will be on-hand to protect U.S. business interests, when necessary. “Owners of capital are becoming increasingly interested in The Moon as a site of rare materials [and] this kind of investment in space is happening because these players believe that investments in space will be very lucrative and, as such, require protection,” Dickens told MintPress News. 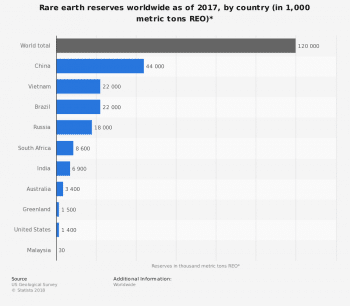 Rare-earth minerals are crucial in the manufacture of electronics, medical technologies, defense hardware and renewable energies, and can be as common as zinc and copper or as rare as magnesite and cobalt. From our smartphones to our cars to our hospitals and power plants, rare-earths such as neodymium, lanthanum, cerium and other elements play a key role in our daily lives. However, the process of extracting rare-earths is dangerous, costly, and runs the risk of ruining local environments. 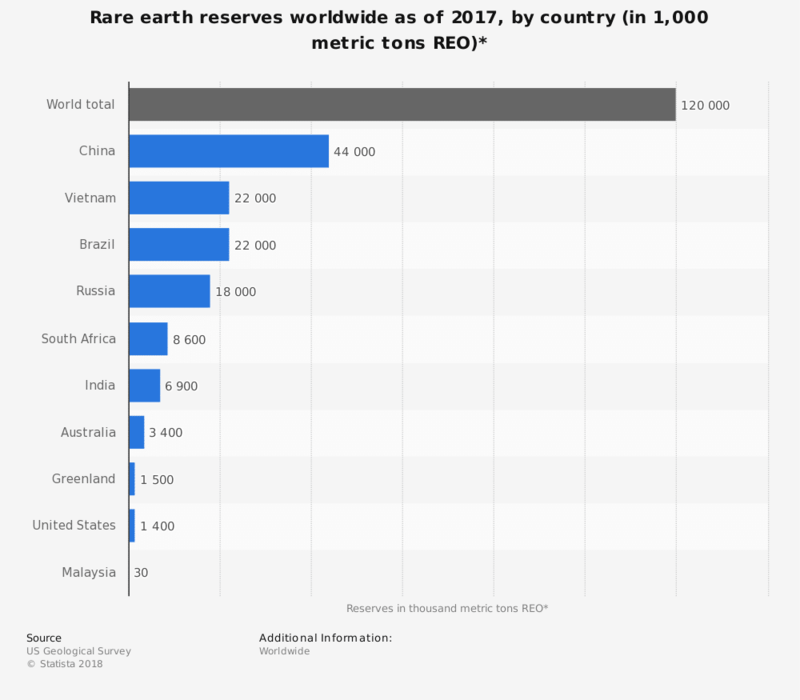 Owing to the country’s strategic possession of the reserves, markets were spooked in 2010 when a border dispute with Japan resulted in a rumor that China would block rare earth exports to the country, causing prices to momentarily skyrocket by around 2,000 percent. Subsequent announcements by the government that it would slash production quotas in response to the environmental damage mines were causing have also caused the prices to fluctuate. The idea that the so-called “vitamins of modern society,” perceived to be scarce, would remain under the lock and key of the Communist Party of China was viewed as an apocalyptic scenario. This led to a storm of alarmist articles about the Chinese monopoly or “stranglehold” on the minerals, as well as a rush by mining firms to scour the globe for new exploitable sources in locales such as the Amazon rainforest, sensitive environments in Latin America, Afghanistan, shuttered mines in California, North Korea – which recently was found to have reserves estimated to be worth $6 trillion – and even in the heavens above. [I]n the race to open up new extraction points, less remote, apparently easier to access deposits have been overlooked in favor of the far northwestern Amazon and the Moon. The problem we face on earth is that beyond their scarcity, these elements are not evenly distributed throughout the world. We need to disrupt this market. By finally being able to reach the Moon and harvest the resources that are there, we can overcome the scarcity of rare-earth elements and create the infrastructure necessary for innovation to continue. Since 2014, NASA and the private sector have undertaken Lunar CATALYST, or the Lunar Cargo Transportation and Landing by Soft Touchdown, which seeks to develop prospecting and cargo-bearing robots that would mine the lunar crust for rare-earth minerals. By 2015, President Barack Obama signed the Commercial Space Act, which lifted restrictions on private companies seeking to legally haul back any material found in space – whether it be on asteroids, the moon, or even the planet Mars, which Trump seeks to explore and Tesla’s Elon Musk hopes to colonize. Extreme privilege combined with the cultural capital surrounding space-related endeavors generates a kind of evangelical zeal that manifests in the near-complete inability of space investors to handle deeper questions about their projects. Anyone critical is simply lacking vision, is not bold enough, or does not understand the importance of space exploration. … While these endeavors promise fundamental transformations in how resources are produced and consumed, they are betting on the durability of the current unsustainable political-economic status quo. … Only loosely regulated and currently free from clearly enforceable social and environmental accountability requirements, the Moon seems to represent the ultimate terrain of capitalist freedom. The United States, with its massive war budget and sprawling military-industrial complex, remains the front-runner in the competition to deploy armed forces in outer space. Yet, as the successful 2013 landing of Chinese lunar rover Jade Rabbit proved, China’s National Space Agency is well-positioned to actually mine rare-earth minerals on the Moon. The rich…rare-earth, uranium and thorium resources on the Moon can ease China’s energy crisis, maintain the status of China as a rare-earth power, and facilitate the rapid development of China’s aerospace technology…China now has ‘first-strike capability’ on lunar mineral development. In the meantime, the country has patiently built upon its ability to launch effective anti-satellite missiles. Yet its own arsenal pales in comparison to that of the U.S. military, which possesses dozens of Aegis-equipped guided missile cruisers and destroyers capable of knocking down Russia and China’s satellites in an actual war. Pleas from China and Russia to negotiate a new space treaty preventing the use of space for the deployment weapons have also been ignored by the U.S. The U.S. has always believed it had the opportunity and right to control and dominate space. The logo of the U.S. Space Command reads ‘Master of Space’. But China and Russia have not been idle and have developed the ability to counter the U.S. efforts to control space and thus the earth below. While the U.S. still is ahead of Russia and China in overall space technology, those two nations are quickly closing the gap because they are determined not to allow the U.S. to be dominant in space. As and when elements of nearby outer space are legally subdivided and exploited by different private or state interests, this precludes public and private investments in probably more worthwhile projects on Earth. Furthermore, such imperialism also opens up the possibility of wars between those powers gaining access to the Moon or other nearby parts of the cosmos. This form of imperialism and capital expansion may seem particularly attractive to ruling elites, given the contradictions and increasingly evident social and environmental crises of Earthly society. But the fact remains that this fourth stage of imperialism may in the long term simply reproduce Earthly conflicts, Earthly sociopolitical coalitions, and environmental degradation into the cosmos. Yet Dickens warns against giving up hope in the possibility of humanizing space, noting that the achievements of space exploration could bring major benefits to human society — provided such humanization remains centered on the improvement of the whole of humanity, rather than the agendas of individualistic entrepreneurs dreaming of gold in the stars or generals seeking to use space platforms to prevent their rivals from accessing space. “And it would certainly be a mistake to ignore the ‘push factors’ of new coalitions against military investments, these perhaps being best exemplified by Bruce Gagnon’s attempt to create coalitions against outer-space investments,” Dickens added. It would be a tragic mistake for any nation to carry the bad seed of greed, competition, conflict, environmental degradation and war into the heavens. The U.S. has made the decision to do that very thing. Sadly few on the planet are aware of the dangers to this thoughtless and irresponsible policy.